Curiosity isn't solar powered is it? So how long is it's power source supposed to last? It would be fantastic if it could last as long as opportunity has. 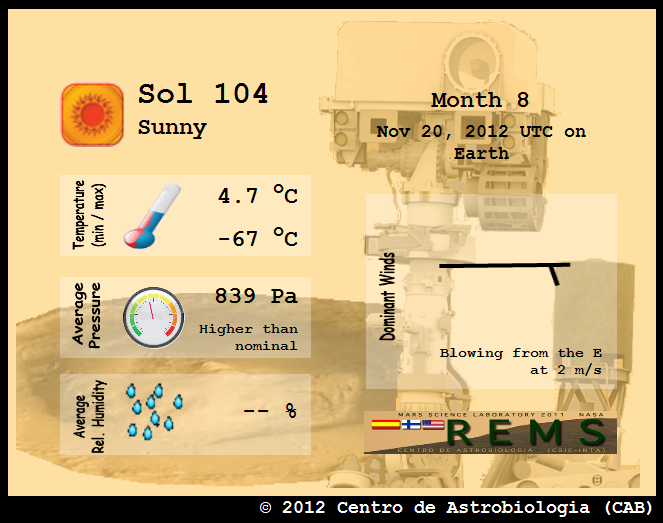 Wow, it's been 100 Sols already? Time flies even on planets with forty extra minutes to the day. By the way, does anyone else know when their Martian birthday is? My twelfth isn't until 15 December 2013; before that time I've got four Mercurian birthdays, two Venusian ones, and one Terran birthday. (The first one I've got coming up is my 35th Venusian birthday on 1 December) Mars' longer year will be quite a shame for future Martians who like to party. No, it is powered by a radioisotope thermoelectric generator. Well it doesn't last a set period of time, its power level decays as time goes on. But it would probably have enough power to function properly for a decade or so. Whether critical pieces of hardware will last that long is another matter. The people working on the rover team say that they wouldn't be surprised if it lasts 6 years, since they test all the components to last for at least that long, but no one is betting on 10 years. Who knows, though, it might. it is powered by a radioisotope thermoelectric generator. A radioisotope thermoelectric generator (RTG) is a system that generates power from heat generated by the radioactive decay of plutonium-238. A chunk of thermally isolated plutonuim oxide (pictured) generates heat via radioactive decay, and the heat that the red-hot substance radiates is collected and converted into electricity for use by the spacecraft. Naturally, since it's powered by radioactive decay the power declines over time. Many missions in space history, including all missions to the outer Solar system with the exception of Juno, have used RTGs, including the Mars Viking landers. RTGs can enable a craft to potentially perform for a very long time under the correct circumstances. For example, the Voyager spacecraft are still functional (though most of their systems are now offline) 35 years after launch. 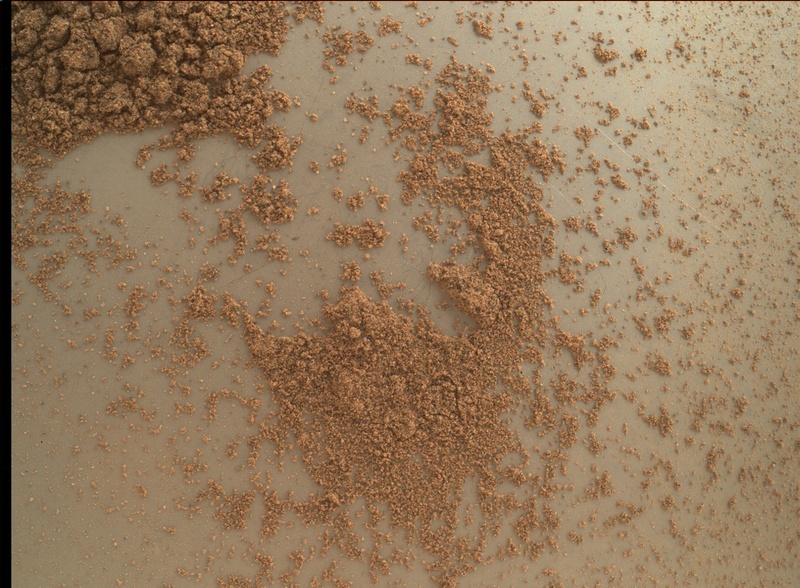 Curiosity, however, will not be able to last anywhere near as long as that. Also of note, the United States ceased production of Pu-238 in 1988, and since 1993 all Pu-238 for spacecraft missions has been purchased from Russia. But since Russia also stopped production, their supply is running out as well, and after 2022 no spacecraft missions using RTGs will be possible, effectively ruling out any exploration of the outer Solar system. NASA and the Department of Energy (which would have to produce it) have requested that Congress allow them to resume production, and they have agreed to split the cost of doing so, which would be less than $90 million over five years, an insignificant fraction of the budget of both agencies. Nevertheless, Congress has only granted NASA a small portion of that money, and has denied any of it to the DoE. 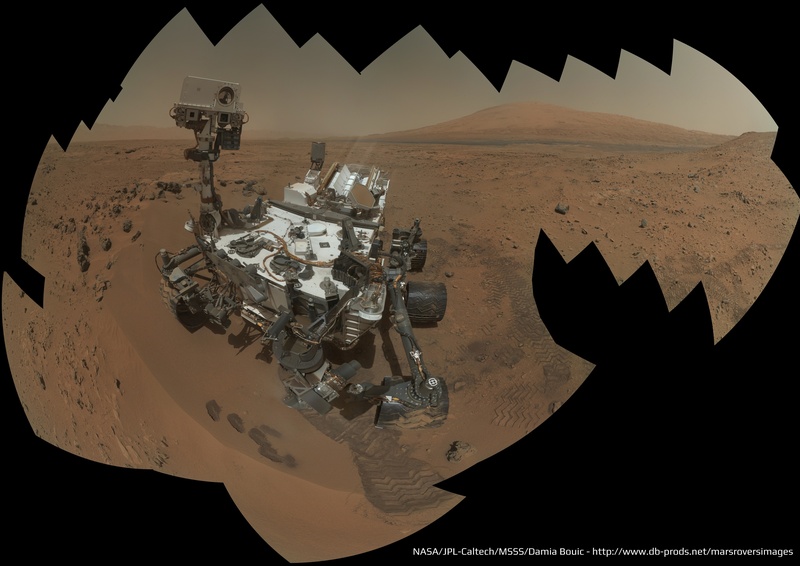 - the air around Curiosity has been getting dustier recently (see the animations below). This storm could evolve into a global storm, the first one since 2007 (which nearly killed the twin Mars Exploration Rovers). If it does, it will pose no threat to Curiosity, but it would probably be fatal to Opportunity, which is nearing the end of its 9th year on Mars. Yeah, Curiosity can just hunker down behind a big rock (not that it would be a great idea given the risks) and wait it out. Other than the pressure, that exact weather was here yesterday! that exact weather was here yesterday! No, Curiosity does not need to do any such thing. It would simply ignore the storm altogether. Contrary to depiction in popular fiction, storms on Mars do not contain winds strong enough to pose a danger to people or equipment. I was talking about yesterday afternoon, so comparing it to the day temperature. It got cold at night, but not that cold. Detailed mosaic from Sol 107 (2 days ago) of part of the Glenelg site. Oh, I had imagined duststorms to be like Earth ones. If you look closely, to the right of the Sun there's a faint grey dot... I wonder what that is.